At this point of the season, it’s not too late to go after a seasonal best or even a personal best. Let’s break down this in detail. Or a race differential of 2 sec between first and second 200m. 52 is nowhere near 53.8. Well, your “coming home speed” is 14.5 sec or even slightly faster (that 3rd 100 may be 12.8 with the last 100m in 14.2). Yes, I know that sounds funeral if your PB is 11.99 for the 100m, but it is what it is. (I was told Cathy Freeman never did her tempo strides SLOWER than her coming home speed. To be fast, you have to run fast. Maybe I should interview her coach one day?) For the record, my tempo strides are usually 65-70% 100m speed, or 17 and 18 seconds. You have to do your Special Endurance workouts, both SE I and SE II (see below). Also, the faster your top end speed, the faster your Speed Reserve, but you must still do that training to carry you over that last 150m when lactate sets in. My head is usually full workouts, or to use a cooking analogy, full of recipes. It’s never exact week to week as I am constantly modifying it based on how the athlete feels, weather conditions, track conditions, surprises, etc. 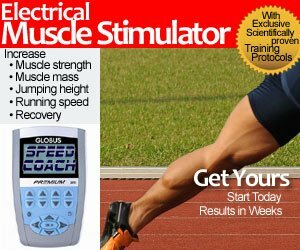 Acceleration: up to maximum velocity, usually between 10m and 30m, with complete recovery. Speed: up to 6 or 7 seconds, 95% intensity, with complete recovery. Youth and Masters is much shorter. Usain Bolt is a different species. Special Endurance II: 20+ seconds, slightly lower intensities, with short or INCOMPLETE recovery. Yes, this means dreaded 500 or 600m. Okay, all this theory is great, but let’s get to the meat and potatoes of some real time examples. When Michael Johnson wanted to break the world record, he knew he had to work on that last 100m. “In 1999, MJ decided he wanted to break the world record. But he got injured and didn’t run another race before Seville – so it shows you can race train and not race to run your best. He had run 43.39 at Gothenburg in his seventh race so he could have broken the world record. In Seville his splits were 21.2sec and 31.7sec. In the semi-final his splits were 21.0sec and 31.5sec and then he walked in. The way he ran on that could have been sub-43sec. But he’d decided that he wanted to do it in the final. Even for Michael Johnson, with a PR of 10.09 seconds for the 100m, his “100m coming home speed” was under 12 seconds… yes, sound slow, but looks painful on TV. Obviously, adjust your workout times based on your PRs. In this case, the reader from the very first paragraph would aim to run the 300m in 44 or 45 seconds, and take 1 minute break, and run the 100m coming home speed ideally in 14 seconds. 3 sets off 5 minutes recovery. Not easy, but do-able. I’ll write more workouts like this in future as we approach the final 3 months of the track season. We also need to devise a workout to help that 3rd segment of the 400m from the above example. Shorten your stride for the last 100m and focus on quick pushes underneath your hips. Your hamstrings will thank you. You want to maintain a high turnover frequency, while reducing stride length. The breaking forces people experience in the last 100m are usually worse because they try to stride out, or maintain their max velocity leg mechanics (You may be able to get away with toe striking in front of your body early in the race/at high speeds, but at slower speeds it will slow you down, A LOT). Remember to keep your foot dorsiflexed to make use of the elastic energy produced by your Achilles. Keep your “tummy tucked,” belly button high, hips forward. This is what coaches call, “staying tall.” If anyone tells you to “lift your knees” at the end of your race, they will just set you up for disaster. I know this is fairly generic advice without any examples or demonstrations, however, it helped me break into the 47 second range in the 400m this last season. Every little thing helps. When i was junior athlete, my PB were 11.3 in 100, 23.0 in 200 and 52.4 in 400. My PB in test 300 was 36.8. I’ve been reading speedendurance.com for about 4 years now EVERY WEEK and it is great, thankyou. However you think the reader above is bad for 100/200 – 400m times. This year I ran 11.53, 23.36 and 54.3i !!! Next year I shall be running M40 but whatever I read, how hard I train I cannot get my speed endurance. I have run consistent 11.5’s but the 23.3 was the only one, all others are about 23.8!! Twice this year I ran a 11.5 followed by a 23.8 or 9. I should be running 23.0 plus or minus 0.2 right? especially when I train all year 200/400m. Its not the training knowledge, Ive read loads and my coach is very able and experienced and I do the right mix of work. I regularly throw up on the Tuesday evening session and do 5 sessions/week on average, so its not lack of effort! So why can I not run 23.0’s & 50’s? even consistent 23.3 & 52 would be great….so after 4 years I am moving up. I figure if Clyde Hart says aerobic is 40% and this is supposed to be greater with masters, then I have started training 400/800! Ive never done 800 in my life but as a test I am going to see if this gets my 400 time down. I’ve seen your example 800m programme and have loads of others to compare to. I will update you as the season progresses, been training aerobically 2 weeks now and have a 10km down to about 42mins. Target will be 2.00min & 52sec……….we will see…. When i was junior i ran 11.1,23.1 and 52.0. 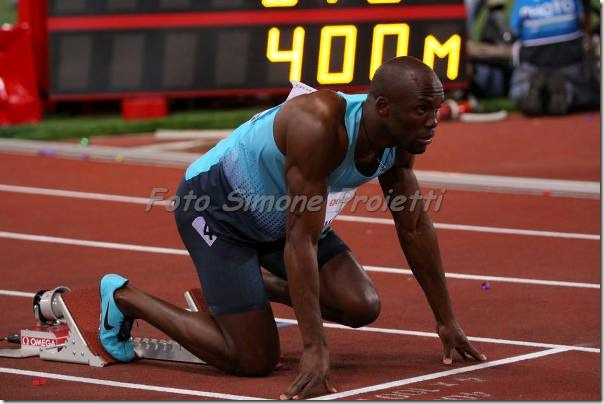 The last 100 meters of the 400 meters is the result of the training you have completed all season. My objective was to run the last 100 meters in 12.0 or under. Every time I ran 44. I was able to do just that. When I ran 44.06 last 100 meters was 11.6.When I ran 43.86 my last 100 meters was 11.4. To do this ran many 600 meter runs and hundreds of 500 meters runs. That’s where the strengh come from. I would say to my self run like a sprinter and try to stay tall. I saw where some coach said shorten your stride? You must keep your knees high and keep your arms fighting. If you drop your hips you are dead in the water. You must stay tall with high knees.